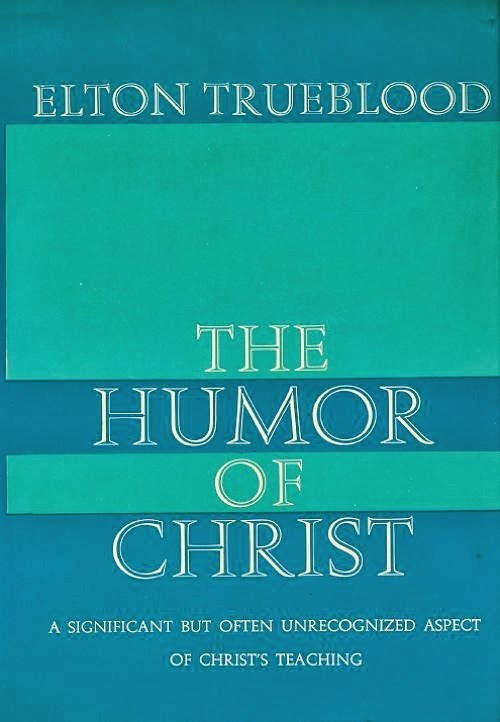 .... Trueblood, who pays close attention to the gospel narratives and dialogues, makes a convincing case that Christ often used irony, purposeful exaggeration, and humorous parables, and knew how to engage in witty conversations where he gave as good as he got. 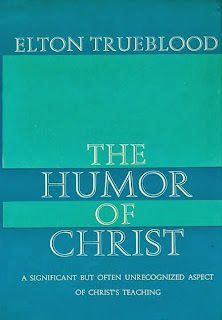 In particular, Trueblood argues, Jesus exemplified the great virtue of helping others to laugh at vanity. Because humans are given the gift of self-consciousness, we are prone to pride and vanity. But with this self-consciousness also comes the ability to laugh at conceit. And, of course, we are often (I am often) in the position of the one who needed to be mocked. Another of Trueblood's books I appreciated was A Place to Stand.